Jordan and I almost never eat breakfast together, even on the weekends. He’s a night owl and likes to sleep late. I’m definitely not a night owl and I consider sleeping until 8 am really late =). That’s one reason why you see so many muffin recipes here. 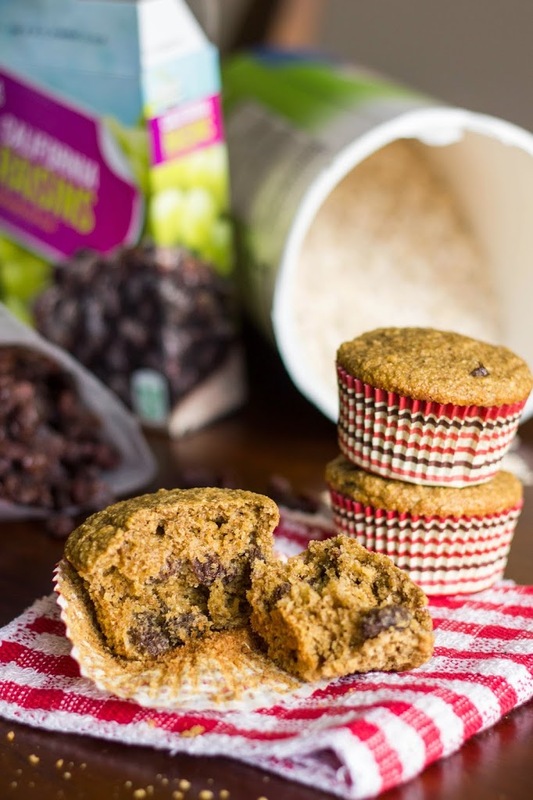 Muffins are just as good at 11 am as they were at 7 am, and leftovers can be individually wrapped, frozen and make a delicious, quick breakfast on a busy weekday morning. Not to mention that muffins are like cupcakes without frosting and we all know how I feel about cupcakes! 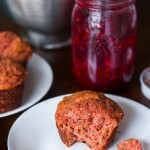 These muffins are one of my favorite recipes. They really do taste like an oatmeal raisin cookie! =) The raisins add some natural sweetness, allowing you to keep the added sugar to a minimum. If you don’t like raisins, you could substitute dried cranberries or even chocolate chips, but raisins are one thing Jordan and I do agree on ;). Enjoy! 1. Preheat oven to 350 degrees. Line 6 muffin cups with paper liners or spray with non-stick spray. 2. Combine oats and buttermilk and set aside. 3. Cover raisins with boiling water (or very hot tap water) and set aside. 4. Whisk flour, baking powder, cinnamon, baking soda, and salt until combined. 5. Add oat mixture, oil, egg, and brown sugar to flour mixture and stir just until combined. 6. Drain raisins and using kitchen towel (or paper towel) pat dry. Fold in raisins. Divide batter between prepared muffin cups. 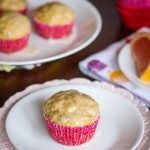 Nutritional info (per muffin): 165 calories; 4.0 g fat; 29.5 g carbohydrates; 1.5 g fiber; 4.0 g protein.